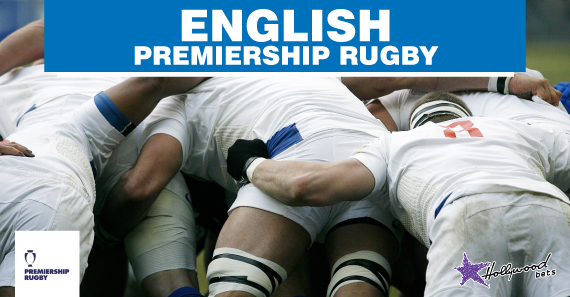 This weekend will see the English Premiership enter its Fifth Round. Darry Worthington runs the rule over the fixtures. Saracens and Exeter maintained their unbeaten runs in Round 4 with the North Londoners beating Bath 50-27 and their rivals from Devonshire scoring a 28-11 victory over Worcester. Despite it being early days in the season, these two English giants look unrivalled at present. Bath are next up to face the seemingly unstoppable Exeter Chiefs, who registered their fifth win of the season last week as they beat Worcester by 17 points at Sandy Park. While it wasn't the most fluid of performances from the men from Devonshire it did illustrate that they are more than capable of grinding out a win over stubborn opposition. This is actually a rather tough fortnight for Bath who head into Friday's fixture off the back of a 23 point defeat to Saracens. The loss has seen them drop to sixth on the Premiership standings. The Chiefs really do look primed for a title assault this year. I can see them leaving Bath in their wake here. My money is on the hosts taking it by 10 points or more. The first of Saturday's fixture sees another derby between struggling sides Sale and Newcastle. Both teams have endured terrible starts to the campaign and only have a win a piece to their names. They currently prop up the table with the hosts residing at the foot of the table and the visitors only two points better off in 11th. Both teams head into this one off rather encouraging displays though with Newcastle going don by one point to Wasps and Sale losing Leicester by four points away from home. This should be a typical derby affair with both sides certain to take conservative approaches to the games. I reckon home ground advantage will just swing it for Sale. We're in for an absolute classic at the Ricoh Arena this Saturday with upstarts Gloucester taking on English giants Wasps. The hosts have been far from fluid this season and head into h=this one off of a narrow victory over the woeful Newcastle Falcons. Gloucester also head into this one off the back of a far from convincing display as they went down 25-27 to Harlequins in Round 5. Johan Ackermann will be expecting a big response from his charges after that embarrassing home defeat to 'Quins. I can see them doing just this by beating Wasps this Saturday. Both teams head into this one off the back of wins with Northampton's 40-45 victory over Bristol seeing them become the first team to win at Ashton Gate this season, while Leicester head into this one off the back of a 19-15 win over Sale. This could well be a high scorer with both sides more adept at attacking than defending. I can see Northampton winning a game that goes over 55 points by between seven and 12 points. Harlequins and Saracens will lock horns in a London Derby in Saturday's final fixture. The hosts have enjoyed a solid if not spectacular start to the season and currently occupy fourth place. Saracens have been a lot more eye-catching winning all five of their opening fixtures. Quin's come into Saturday's game on a high note having beaten Gloucester by two points away from home. Saracens also registered a positive result as they secured a 50-27 bonus point win over Bath. They're log-leaders for a reason and I can't foresee them slipping up against a hit-and-miss 'Quins outfit. My money is on the visitors taking this one by 10 points or more. We close out the Round 6 action with a tie between Worcester Warriors and the Bristol Bears. Both of these sides are exceeding expectations at the moment with Worcester lying 10th on the log and Worcester sitting in ninth. The two sides do head into Sunday's fixture off the back of defeats, however, with Bristol going down by five points to Northampton on home soil, while Worcester lost by 17 to Exeter in Round 5. I'm going to back the Bears to come good here. They have the quality and they'll be keen to atone for that first home loss of the season to Northampton.